Apple has been ruling the premium smartphone segment of the market ever since the days of the original iPhone in 2007. The company's strategy of developing good hardware paired with highly optimised software has served it well over all these years. While its newer handsets demand a considerable premium, you do end up with products that exude a certain class. Our price list for all Apple smartphones is updated frequently. We last updated this list on 2019 22nd April. The mobile phones listed below are the latest Apple mobiles to be announced. 1. Which iPhone models are compatible with the AirPods? AirPods are Apple's first ever completely wireless earphones, and they were released in 2017. They are compatible with all iPhones and iPod Touch models running iOS 10 or later. They are also compatible with Apple Watch models running watchOS 3.0 or later. It is compatible with many other Bluetooth devices such as laptops, PCs, smartphones, and tablets but in a limited capacity. AirPods can work as standard Bluetooth earphones with any Bluetooth 4.0 device. 2. Are there any adapters available to convert the USB Type-C of Apple iPhone to any USB adaptor? The iPhone features a Lightning Port, and not USB Type-C. The Lightning Port might look similar to a USB Type-C port due to its symmetrical shape but is quite different. Apple sells a Lightning to Micro USB Adapter for Rs. 2,499 in India and $19 in the US. 3. How is the display quality of iPhones? The display quality of iPhones is generally very good, among the very best in terms of brightness and color accuracy, be those LCD or OLED screens. As of November 2018, the iPhone XS and XS Max are considered to have the best OLED smartphone screens in the market, slightly edging past color accuracy on Samsung's flagship smartphones for the same year. 4. What is Siri and how can you access it on your iPhone? Siri is Apple's artificial intelligence (AI) powered voice assistant that can be used to search for relevant information such as calendar entries, sports score, time, weather, and more. It can also be used for text dictation, voice typing, and perform various tasks, including calling or messaging a person as well as reminding a task. You can access Siri by long pressing the home button (on iPads/iPod Touch/iPhones with a physical home button) or by long-pressing the power button (on iPads/iPhones without a home button). 5. What are the telecom (Reliance Jio, Airtel, Vodafone) offers for iPhones in India? 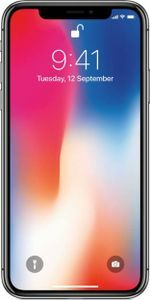 Reliance Jio is offering a 5% cashback on a 24-month EMI scheme for the iPhone XR in India. 6. How can Apple phones with lower RAM and battery capacity deliver excellent performance with longer battery life? Apple phones can perform faster and last longer than similarly-specced Android smartphones due to the way iOS is built. 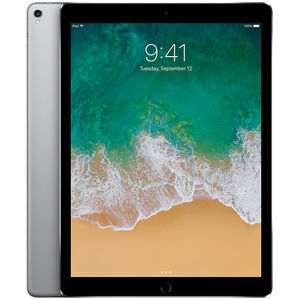 iOS is exclusively built for Apple's iPhones and iPads, which means Apple has greater control over both hardware and software, so it can optimise software in a much better way. Moreover, it is developed using low-level languages such as C, C++, Objective C and Swift, which make iPhones (and iPads/iPod Touch) comparatively faster and more battery efficient. Since iOS is so closed (or controlled in nature), not many apps and service can run in the background, so Apple devices make do with lower RAM compared to Android devices. Both Apple and Android devices have their advantages and disadvantages. 7. What is Apple Pay and is it available in India? Apple Pay is an NFC-based mobile payment solution which is available in iPhones and Apple Watch devices. Later, Apple also added the digital wallet functionality to Apple Pay. Apple Pay compatible iPhones and Apple Watches can be used to make payments at stores with compatible NFC-equipped point of sale (PoS) machines or payment terminals in stores as well as at online stores that support Apple Pay. It is compatible with American Express, MasterCard, Visa, UnionPay This payment service is currently not available in India. 8. What are the best iPhone cases available online now? Some of the best iPhone cases are made by Apple, Caseology, Mujjo, Olixar, Otterbox, Speck, Spigen, and XDoria (not arranged in any particular quality order). Apple's cases have a classic look but they're quite costly. Caseology has nicely designed cases but not officially available in India. Mujjo makes the best leather cases for iPhones. Olixar has a few good cases like Carbon Fibre and Helix Sleek 360. Otterbox makes the best rugged cases for iPhones, including Defender, Pursuit and Symmetry. 9. 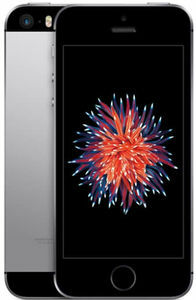 What is the cheapest iPhone available in the market as of now? 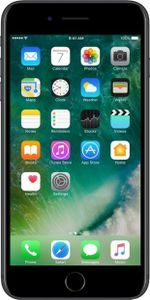 As of November 2018, the iPhone 7 is the cheapest Apple smartphone available worldwide, and its 32GB storage variant is the most affordable version. 10. Why are Apple mobile phones so expensive? Apple smartphones are known for brand recognition, excellent performance, long-term software support, and good after-sales service quality. 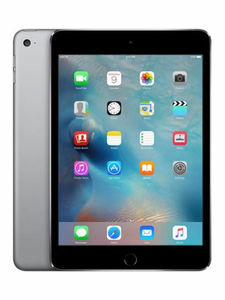 Apple devices are a symbol for premiumness and quality. They are one of the best performers in terms of processing, UI consistency and smoothness, camera quality and screen quality. Apple supports its phones for as long as five years through free-of-charge iOS updates. Hence they carry the expensive price tags without any problem. 11. Which iPhone is the best one to buy right now? As of November 2018, the iPhone XS Max is the best iPhone. If you want to save some cash and still get most of the features of the iPhone XS Max, you should look at the iPhone XR. The iPhone XR has similar build quality and performance (CPU & GPU speed, storage speed, camera, loudspeakers, and battery life) but a lower resolution LCD screen, a much cheaper price tag, and a more sensible 128GB storage option. If you're looking at even lower-priced iPhones, the iPhone 8 Plus might serve most of your needs as it has great build quality, decent cameras, fast fingerprint reader, dust and water resistance, and long battery life. 12. Which is Apple's latest smartphone? The Apple iPhone XS, iPhone XS Max and the iPhone XR are Apple's latest smartphones for 2018. All these phones were announced in September 2018 and released in a few weeks time. 13. Which is the latest version of iOS? As of November 2018, iOS 12 is Apple's latest version of mobile operating system. 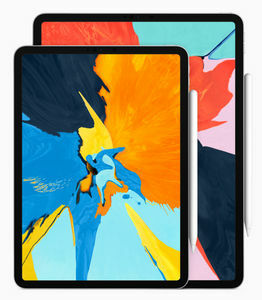 Some of its best features are faster performance, Group FaceTime (audio and video calls), grouped notifications, Screen Time (a feature to cut down on screen time and improve digital wellbeing) and Siri Shortcuts. 14. Which is better? Android or iPhone? Both Android and iOS (for iPhones) have their advantages and disadvantages. Android is a lot more flexible and open, and comes with newer features at a faster pace than iOS. iOS, on the other hand, is a lot more controlled and a limited in functionality, but it is also faster and more efficient in comparison to Android, and offers long-term software support. iOS also offers tight integration with macOS, AirPods, and other Apple products and services. It all comes down to preferences. 15. When is the new iPhone coming out? 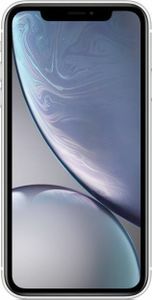 The newest iPhones, as of November 2018, are the iPhone XS, iPhone XS Max and the iPhone XR. They were released in September 2018. The next iPhones will be released in August or September 2018, and they might feature even more secure Face ID system, faster processors, and better screens. Apple has revealed on its website that the AirPlay 2 will be made compatible with television sets manufactured by several leading TV brands. Samsung has already announced AirPlay 2 support for some of its TVs, and ASUS at CES 2019 unveiled new TVs that get AirPlay 2 support even as they run Android TV. The feature will enable users of compatible smart TVs and speakers to air audio and video content from their Apple devices directly. Apple has promised to release the charger within 2018 which it didn't. The company generally has a good track record of maintaining time of product announcements. Apple's wireless charger is supposed to work for iPhone, Apple Watches and AirPods. The delay in release is due to internal development issues faced during the manufacturing of the device. The price of the product is also unknown as of now.